Hello, I’m Becka and I make jewellery and ornaments based on spiders and insects, like ladybirds, ants, dragonflies, bees, stick insects, snails, and butterflies. I use silver plated wire, glass, driftwood, gemstones and sheet copper. My work can be purchased from my Etsy shop, from galleries, and from shows I attend. I also take commissions for larger and more unique designs, like leafcutter ants and driftwood spider webs. Updates and news are available on Facebook and Twitter. I also make flower faries which can be purchased at their own Etsy shop. 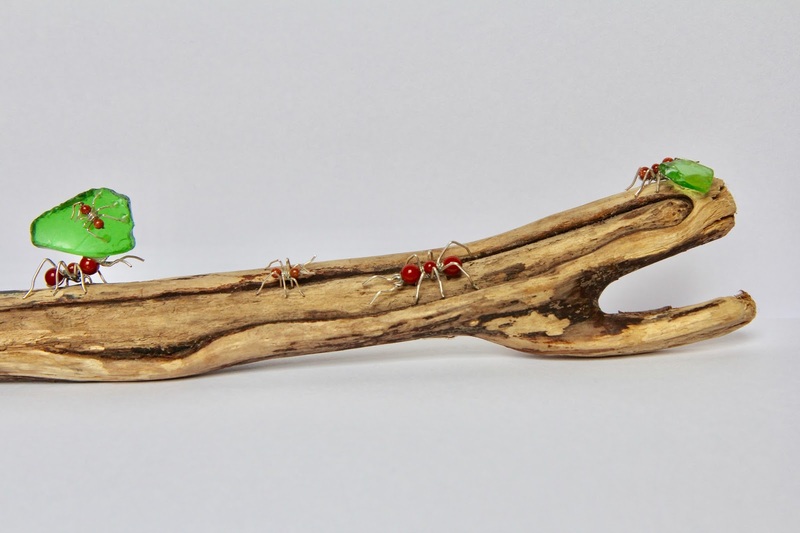 Busy groups of leafcutter ants cutting up and transporting pieces of leaf along various pieces of driftwood. The ants are made from red jasper and goldstone semi precious stones and silver plated copper wire. The leaves are made from bright, blunt green glass shards. They can be made from £25 upwards depending upon the number of ants and the size of the wood and can be shelf or wall mounted. Please get in touch for commissions or see what Perth's Jardine Gallery have in stock. 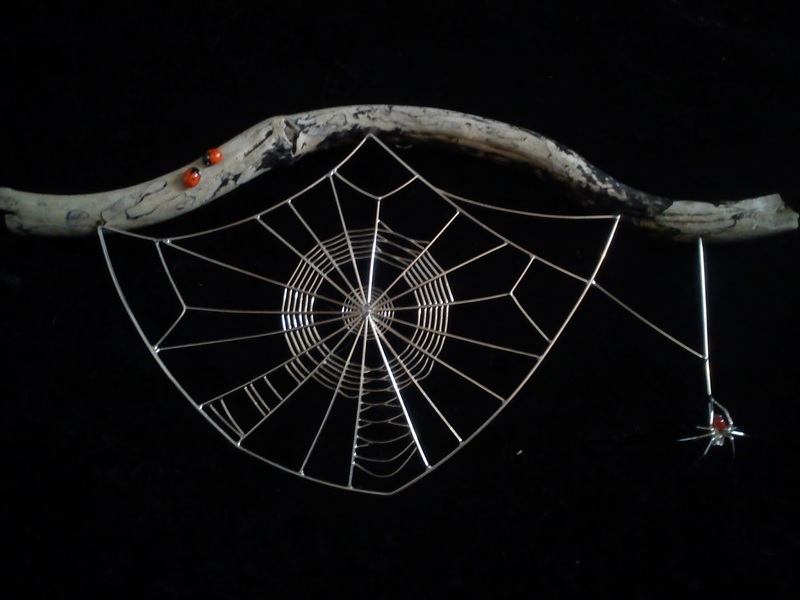 Intricately woven spider-webs made from silver-plated wire and driftwood, in a variety of sizes. Each piece is unique although the smallest ones I do (at £35 including postage) are listed on my Etsy shop as these can be reproduced in a similar fashion each time. For larger pieces you will need to get in touch to commission your own web or alternatively browse what the Jardine Gallery have in stock. This wonderful Perth gallery list each piece I send them individually and deals with online sales. Hello, I'm Becka and I live in Edinburgh with two small people, another big person and a cat. I feel very lucky to do what I do for a living. Figuring I couldn’t make a living from making things, I chose a more sensible route and took an Ecology degree. Subsequently I discovered that I could by combining my artistic flair with a lifelong interest in the natural world, and the science I had studied my degree. The results are my beasties; startlingly full of life, based on native British species and intriguing to lovers and haters of spiders and insects alike. 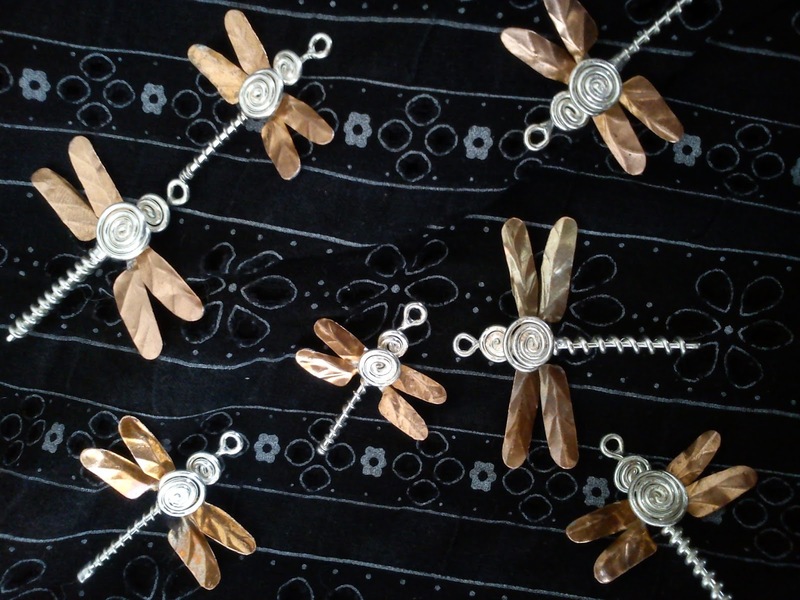 They are created from silver plated wire, glass, driftwood, gemstones and sheet copper. As the little people get bigger I am doing a few more far flung sows again. Please bear with me and let me know if your order is urgent as I may be away for the weekend or have a childcare issue but I can usually squeeze it in if you let me know it's urgency. Copyright Becka's Insects. Picture Window theme. Powered by Blogger.